Audi adopts new naming structure | What Car? Future Audi models will adopt a new naming structure, with their badges denoting engine output rather than size. Audi says the move is designed to reflect the extra performance offered by electrified cars – which include hybrids, plug-in hybrids and fully electric vehicles – and make its range easier to understand for buyers. 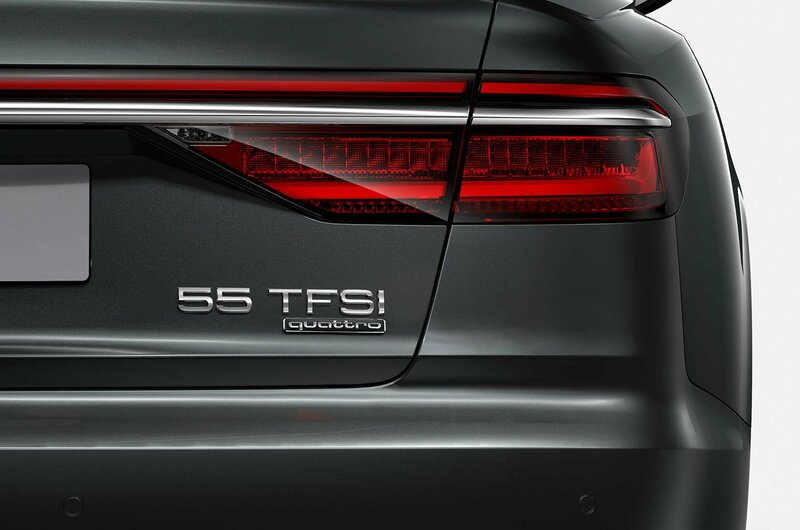 While the actual names of the models won't change (the Audi Q5 will still be the Audi Q5, for example), the badges at the rear of the cars will show a new number of between 30 and 70. What number a car gets is decided by the power output of its engine. There will be a 55-badged range of models, too, and while Audi has yet to release power brackets for those models, it's likely to be used for cars with 328-468bhp. 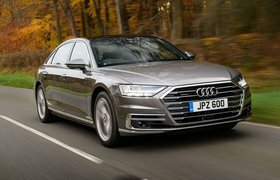 The usual TDI, TFSI or e-tron badges will continue to be used, denoting whether a car features a diesel, petrol or electric powertrain respectively. 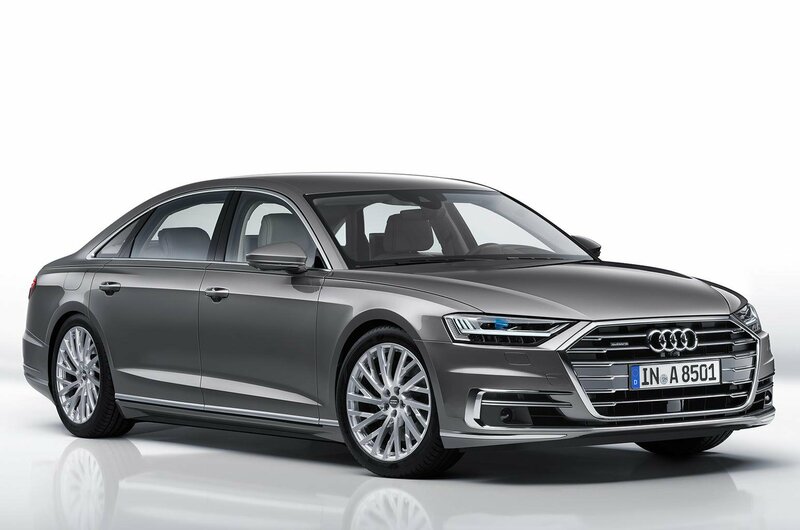 The first model to use the new naming system will be the new A8 luxury saloon, which is due to go on sale in October. The new system means the 3.0-litre TDI diesel will instead be known as the 50 TDI, while the 3.0-litre TFSI petrol will be called the 55 TFSI. These names will apply to all of Audi's future mainstream models, regardless of whether they're powered by petrol, diesel or electricity. Sporty S and RS versions, as well as the R8 sports car, retain their classic badges. Audi is on the cusp of adding more electric models to its range, with the first being the new E-tron SUV next year. That car should offer around 496bhp from its electric motors, meaning it will carry a '60' badge. Explaining the changes, Audi's head of sales and marketing Dr Dietmar Voggenreiter said: "As alternative drive technologies become increasingly relevant, engine displacement as a performance attribute is becoming less important to our customers. 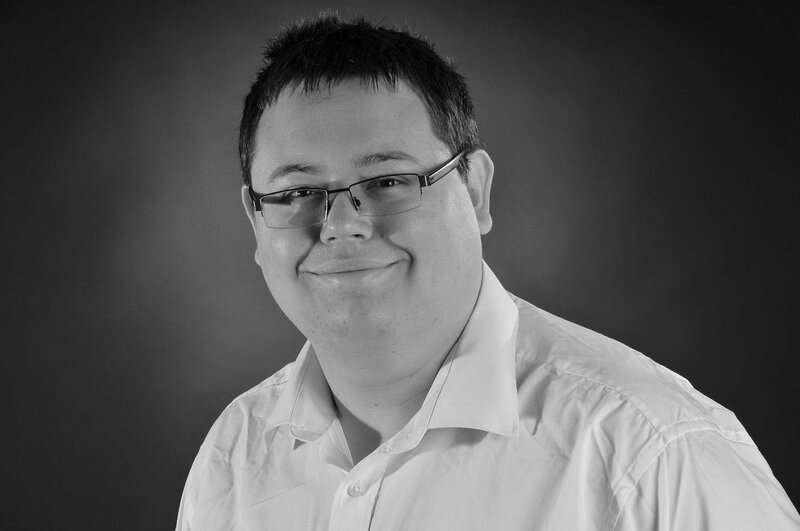 The clarity and logic of structuring the designations according to power output makes it possible to distinguish between the various performance levels." These days, an Audi badge on the nose of your car is often seen as a sign that you’ve made it. And with their beautifully built interiors, efficient engines and smart, understated looks, it’s no wonder an Audi is the object of desire for many used car buyers. No surprise, then, that a used Audi will often set you back slightly more to buy than a comparable model from a rival manufacturer. But don’t think a used Audi has to cost the earth. In fact, they’re so ubiquitous that there’s a sound, usable and reliable Audi with sensible mileage and a good history out there, no matter how much or little you might have to spend. You just have to be a bit canny about the model you choose and, to help you with that, we’ve put together our guide to the best used Audis for every budget. Widely lauded as the best of its breed, this generation of the muscle-bound RS4 performance saloon is powered by a 4.2-litre V8 engine, giving it enough power to rocket to 62mph in just 4.8sec. It isn’t just fast, though – it’s fun in the corners, too, with a wonderfully responsive chassis that delivers more innate agility than most Audi RS performance models. 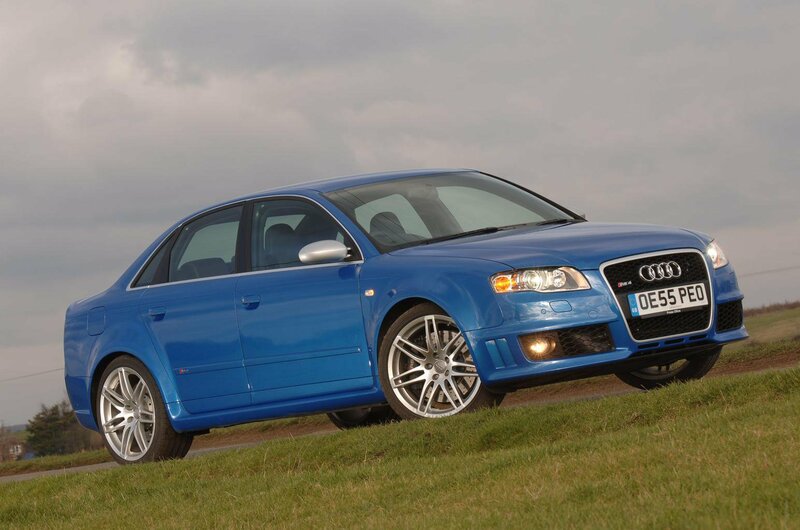 And its place at the top of the RS tree in enthusiasts’ minds means the 2005 RS4 looks set to hold its value and could even appreciate in a few years’ time. 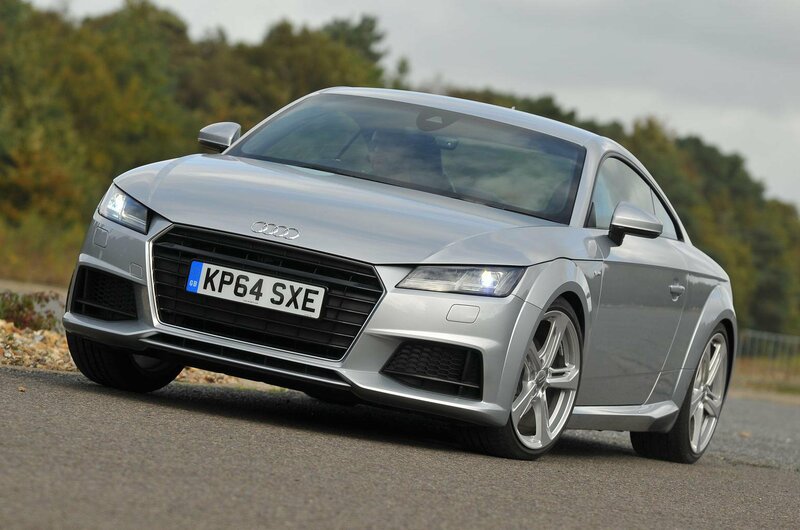 Bagging a nearly new Audi TT gives you all the benefits of one fresh from the factory, but with a significant discount on the price. In other words, you still get the same nimble handling, the same wonderful interior and the same sporty styling – just for less cash. There are plenty of low-mileage examples around for this budget, too, so you shouldn’t even have to look too hard. 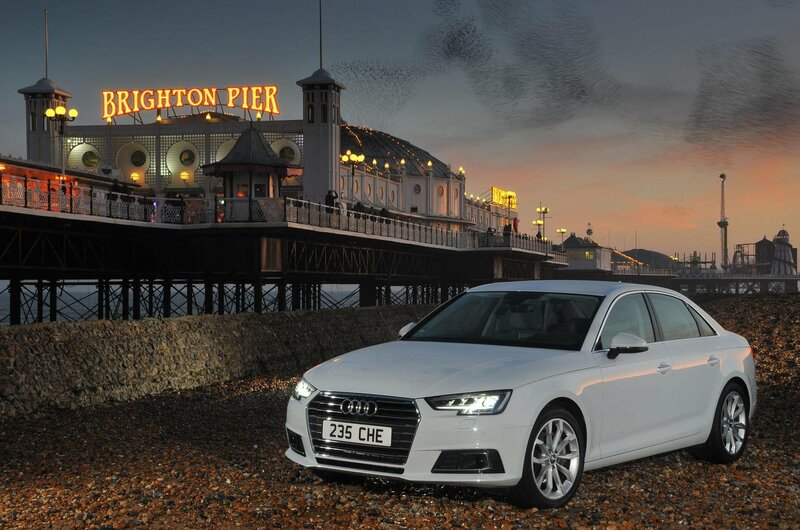 The Audi A4 won our Car of the Year award back in 2015, and as a used buy, it makes just as much sense. There’s a choice of excellent, efficient engines and a gorgeous interior; there’s plenty of space both for passengers and in the boot and, as long as you avoid the S-line version, the A4 rides comfortably and handles tidily. All in all, it’s a class act.